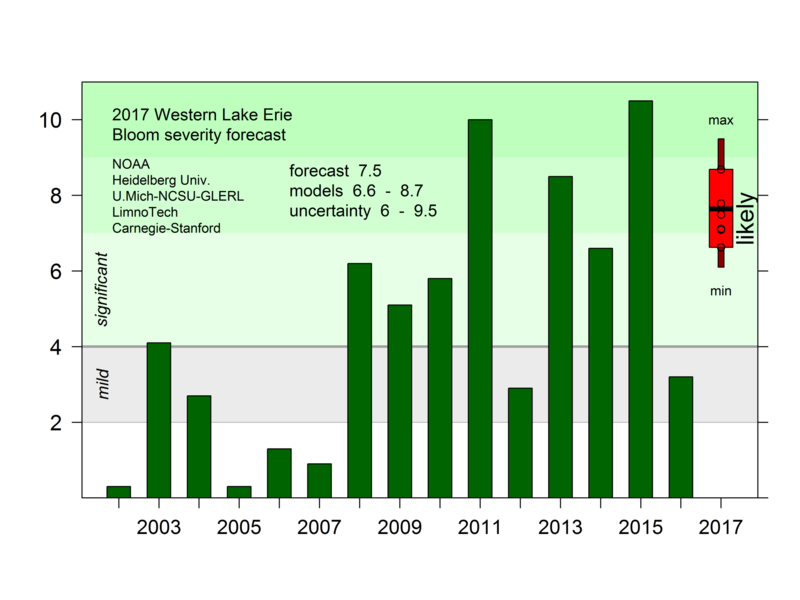 ​As scientists forecast a significant algae bloom in Lake Erie this summer, environmental groups are calling for tougher government policies to reduce pollution from farms. Elected officials from lakeshore communities are asking Gov. 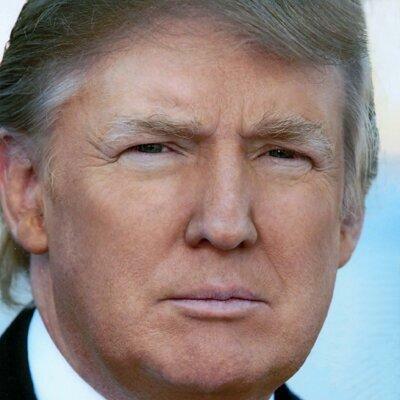 Cuomo to request the president declare areas hit hard by flooding a disaster, so federal funds can go to help residents. Greece Town Supervisor Bill Reilich, Sodus Point Mayor Chris Tertinek and Sodus Town Supervisor Steven LeRoy were among those signing a letter to Cuomo asking him to request federal help. Reilich says they are asking the Governor to act now, so that Federal Emergency Management Agency resources may be made available to lake and pond front residents. Congress has taken its first step to ensure that Great Lakes restoration continues in 2018 – contrary to President Trump's budget plan. On Tuesday, the House Appropriations Committee released the 2018 Interior and Environment Appropriations bill, which includes full funding for the Great Lakes Restoration Initiative. July 19 update: Committee vote is good news for the Great Lakes. 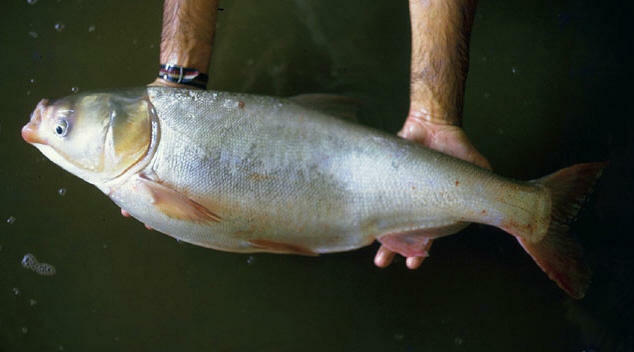 There's some good news from Illinois, where an Asian Carp was recently caught just nine miles from Lake Michigan. In two weeks of intensive, follow-up monitoring, no bighead or silver Asian carp were found, a regional monitoring group says. Upset by continued flooding on the Lake Ontario shoreline, New York Gov. Andrew Cuomo wants to shake up the bi-national group that helps to regulate the Great Lakes. Governor Andrew Cuomo came to Irondequoit Thursday for a ceremonial signing of legislation to help communities hit by the severe flooding during the spring. Cuomo came to Westage on the Harbor, a lakefront apartment complex off St. Paul Blvd. and spoke before hundreds of residents and local officials. The state is offering $45 million in aid to communities impacted by the flooding along Lake Ontario and the St. Lawrence River. Another $10 million will go to several counties for damage related to other storms. 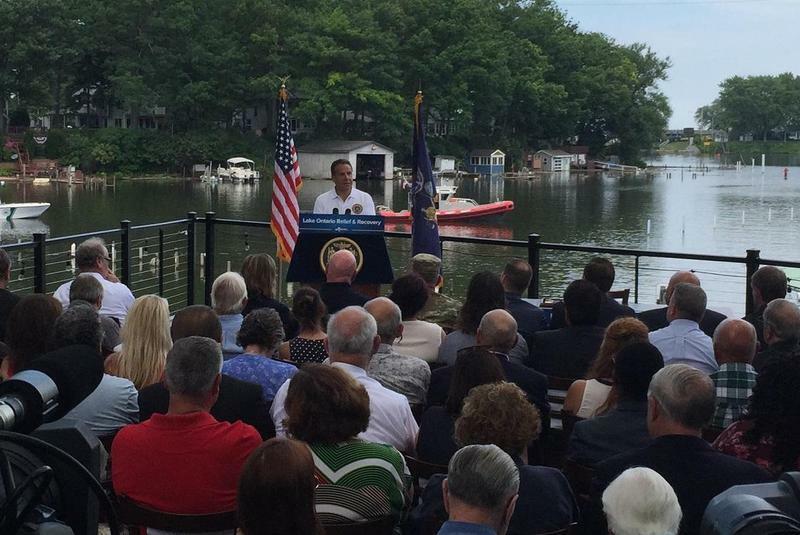 Governor Andrew Cuomo is announcing ramped up efforts to enforce no-wake zones along the Lake Ontario and St. Lawrence River shoreline this weekend. Cuomo says that with high water levels along Lake Ontario and the St. Lawrence, it’s critical that the state supports local enforcement efforts. He says that multiple state agencies are deploying additional resources, including 20 watercraft and 42 law enforcement officers. ROCHESTER, N.Y. (AP & WXXI News) Elected leaders from the upstate region have returned from a trip to Washington, D.C., where they met with federal officials to discuss the flooding along Lake Ontario's New York shoreline. Among those making the trip to the nation's capital Tuesday was Cheryl Dinolfo, the executive for Monroe County, scene of the some of the worst flooding. She and other officials from areas hit by flooding met with members of the Army Corps of Engineers and the Federal Emergency Management Agency. Several local officials will be in Washington, D.C. on Tuesday to meet with members of the local Congressional delegation and others about the recent flooding along the Lake Ontario shoreline. Monroe County Executive Cheryl Dinolfo says she will be urging area representatives to put pressure on the United States’ appointees on the International Joint Commission. That U.S. – Canadian panel helps regulate the flow of Lake Ontario. 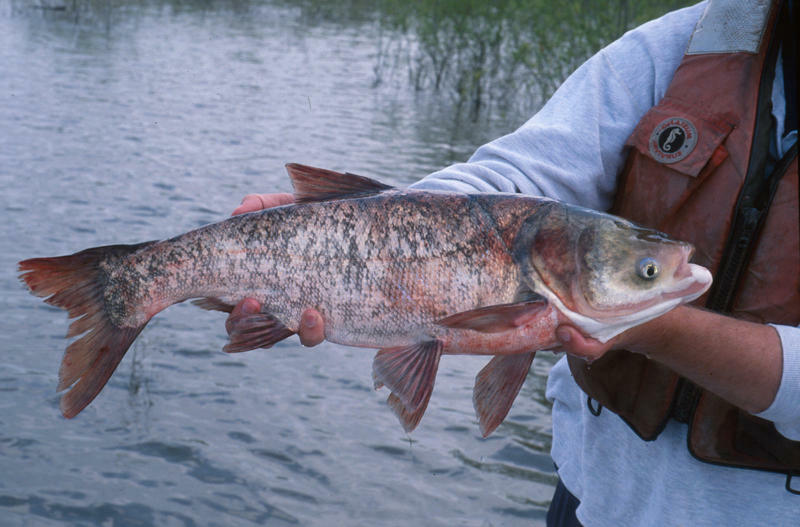 The National Wildlife Federation issued a statement in response to the recent discovery of an Asian Carp found just a few miles outside of Lake Michigan.